When looking across the alternative cryptocurrency price charts right now, it quickly becomes apparent there is zero excitement. This will not be entirely surprising at this time, as Bitcoin continues to drag everything down with it in quick succession. Even the Holo price can’t mount any sort of offense right now, as its value is on the verge of dropping below $0.001 once again. It is anything but surprising to learn how things are progressing across all cryptocurrency markets right now. Considering how all of these markets rely on Bitcoin first and foremost, they are destined to drop in value while the world’s leading cryptocurrency is under a lot of pressure. For markets such as Holo, it quickly becomes evident things are not looking too great right now. Although this is to be expected, no one really knows if any bottom will be found in the coming hours. Over the past day, the Holo price has lost over 5% in USD value. Compared to Bitcoin’s losses, it is evident the altcoins are bleeding value. Holo also lost 3.25% in BTC and ETH value alike, as the 30 Satoshi level has been lost once again. With the current price of $0.001099, it seems unlikely Holo will see much of an uptrend in the coming hours and days unless something changes pretty soon. For now, that seems implausible, although one never knows how this industry will look a few hours from now. One worrisome aspect for Holo is how its trading volume will not impress too many people either. As the total volume dropped to $6.13m, it seems the global interest in this market is dropping off as well. This is not in line how the overall trading volume across the industry right now, which seems to be doing quite well on its own. However, most of the money is pouring back into Bitcoin, rather than altcoins, which is only to be expected. On social media, the discussions pertaining to Holo are a bit all over the place. Steven Morris shares some interesting information explaining the difference between HOT and Holofuel, as they will be two completely separate things. It has caused a bit of confusion among HOT speculators and holders so far, but it seems things will become a lot more clear when Holofuel actually is developed and released. For now, HTO will remain the “main” token, but there will be some intriguing changes on the horizon. $hot was sold as a placeholder coupon to purchase hosting services from the @H_O_L_O_ network. #holofuel is the currency for #Holo hosting but has to be developed first. Not sure what u mean by “no respect.” They are doing what they said they would do from beginning. Traders who are looking at the current HOT chart will not be too happy with the way things are going. 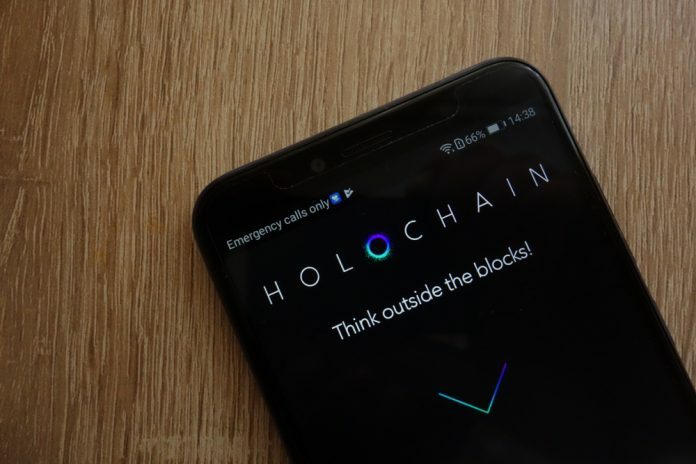 Holo needs to find stable support first and foremost, although it remains to be seen when that level will be found exactly. A drop to 27 or even 26 Satoshi is not unlikely at this point. While the current price of 28 Satoshi has been touched upon before a few times, one has to wonder how low the price really can go this time around. Bitcoin shows no signs of improvement, which never bodes well for altcoins. All of the signs seem to indicate Holo is not in a good place, nor will it be in the near future. All eyes are on Bitcoin right now and money is being pulled out of Holo in favor of the world’s leading cryptocurrency. Although that is only to be expected when the bearish pressure remains in place, there may be even further pressure on the Holo market once more traders follow this lead by example. It wouldn’t take much to offset some of these losses either, but traders seemingly aren’t interested in exploring that option.